Mind Your Manners was a sick tune and I definitely thought that was the preview to his new album set to drop at the beginning of next year — I guess I was wrong. 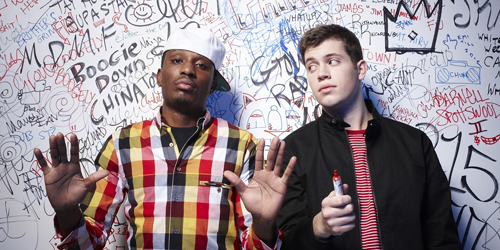 Mind Your Manners was sort of like a preview of THIS song, which is actually a preview of Chiddy Bang’s new album. Either way, both are sick tracks and are definitely worth listening to. Turn it up and get funky, this track definitely has a lot of soul!